At Matebiz, we use the latest technology and tools of graphic designing to accomplish your work and help to create the best one which makes you differs among others. 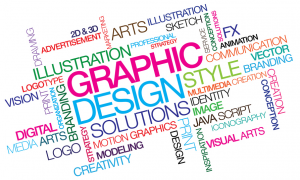 Graphic designing is an essential part of business growth whether you are a large one organization or a small entity. It is important to you to connect efficiently with your customers and clients as much as possible. Now days, organizations are using online options to attract audience, such as: – YouTube, Facebook, twitter etc., but we should not forget the importance of offline connections. Graphic designing does the work for you with most sophisticated manner to promote your products, your services and help you get the attention of people. There are a number of tools we use to convert your imagination into reality. By using these tools, we ensure that we are providing you the best quality services with the latest and sophisticated technology and updates. We at Matebiz have several Services in order to help your business grow worldwide. Logo design: – A logo is a face of any organization whether its a big giant or a small retail business. This is the first thing you should have ready before introducing your business or services to your clients & customers. A logo design represents who you are and what you are capable of and because of it, people around the world recognize you and your organization. So, it is imperative to have an attractive logo, which can attract people towards your company. Pamphlet/ brochure design : – It is important to convey update about your business & services and your website does the work for you online. But, what about offline customers who walk into your location or field person who represents your product & service within the town. You brochure brief about the varied services what you provide to customers/Clients. We provide brochure services at reasonable price with the latest designs and color prints. Business card: – We also provide business card services which help to create the first impression on your customers. It helps you to connect with your local people. We design each & every business card with the perfection which provide a shape to your business and help you to get noticed by the people. We have varied designs of business as per your nature of business. Banners & Hoardings: – We are expert in Hoarding & banner services. Our profession will amaze you with the exceptional Designs of Banners of hoarding for your Events, your existence and your business. Matebiz is the only solution for your Banner & hoarding services. E-mailers/ Book design: – We are providing E-mailers & book design services which help to get linked to your customers and clients directly. You can send a direct e-mail to your potential customers with our e-mailers services which will describe your business and services, existing product, new policies and much more. Poster design, Advertisement design, Event invitation, wedding invitation, layout design, Magazine design newspaper design, restaurant menu card design. We design your business how it should look like for the audience because our motive is to look you better from your competitor and we want to be one of the parts of your success. We are eager to work with you and ready to provide our attractive solutions for your business growth!!! Here are some tips regarding working with a visual artist. As with any other venture, it is important to determine the opportunity of the work and certain objectives with predicted deliverables. Also believe the fact on the number of predicted modifications. In what structural form are you going to obtain the visual design? Explain computer file types, dimensions and recommended color plan if any. It is generally a wise idea to take possession of the smooth duplicates of the style and style. They will come in useful if you want to make minimal modifications later or recycling the style and style. To prevent any future issue, also take trademark possession of all content designed for you. Communicate frequently with the visual artist and provide ongoing reviews. If the work is not going as predicted, meet and take care of issues without any wait. How much does it cost to employ a visual designer? Good knowledgeable developers can be expensive. It is best to get a few aggressive quotations before choosing. If you are on a budget, it does not harm to look for up and coming visual artists who are willing to get established and may offer significant discount rates. Many design developers charge by the hour. Prevent such a connection unless you have dealt with her in the past and are comfy with such an offer. Instead ask for a venture based quotation. You will pay above and beyond the basic expenses if you use certified content like stock images. Transaction for the work should be linked with the objectives. Be careful of visual artists who ask for a large and non-refundable advance payment.